Market leader in emergency lighting, lighting, smoke detectors and measurement instruments. Integrated systems and individual products for alarms, access control, surveillance and UPS. 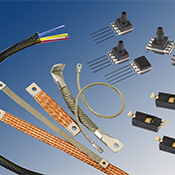 Custom cabling, insulation material and EMC components/systems for demanding environments.